We are accepting New Patients, call today! We strive to build lasting relationships with our patients rather than just treating acquaintances for their current dental needs. You can trust us with your comprehensive dental care because we work to provide you with that winning smile and your happiness is our top priority. Dr. Creighton Powell was born and raised in the small community of Weiner, Arkansas just south of Jonesboro. He graduated from Weiner High School in 2009, then went on to graduate with Honors from Arkansas State University with a degree in Biology. In 2017, he graduated with his D.D.S. degree from the University of Tennessee Health Science Center. 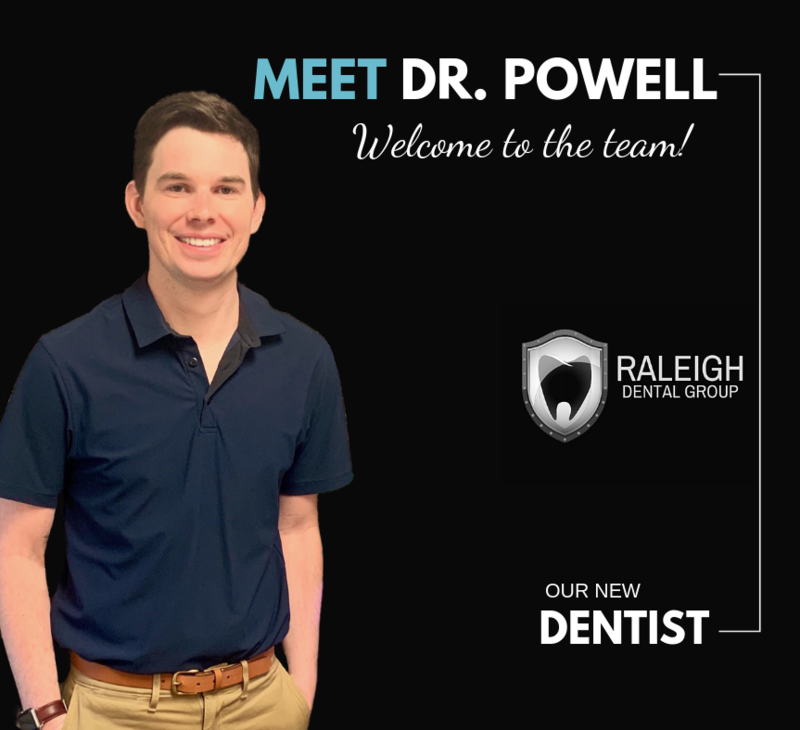 Dr. Powell is very excited to about being part of the team at Raleigh Dental Group and enjoys providing excellent care to the members of the Raleigh Community. Dr. Powell is a huge foodie, and loves trying out all the newest hotspots in Memphis. You also might spot him on walks with his Golden Retriever, Huck, by the river. Dr. Billy Ferguson was born in Memphis, TN and raised in the Bolton/Rosemark community. He graduated in 1964 from Bolton High School and then fulfilled his pre-dental requirements at Memphis State University (now University of Memphis). In 1969, he graduated with a D.D.S. degree from the University of Tennessee School of Dentistry. He began his practice in the Frasier community and then Raleigh where he continues today. Thirteen years ago he began a second practice with Dr. Kelly James in his home town of Brunswick. He enjoys serving through church ministries and gardening is his favorite hobby. Dr. Ferguson and his wife Diane have two children and three grandchildren. Dr. Thomas J. Craig Jr.
Dr. Thomas J. Craig Jr. grew up in the Bolton/Brunswick area of Shelby County, TN, and had the privilege of attending Bolton High School for all my 12 years of public education. In 1964, Dr. Billy Ferguson and I graduated high school together and began our college years at then Memphis State University. I recieved a B.S. degree from Memphis State and graduated in September 1970 from the University of Tennessee College of Dentistry in Memphis, with a Doctor of Dental Surgery Degree. While in Dental School, I was a reserve member of the United States Navy. Upon graduation, I was commissioned as a Naval Dental Officer and served my active duty with the 1st Marine Division, Camp Pendleton, CA. Even though I qualify as a Vietnam Veteran, I was fortunate not to have been sent there for duty. I remained in active reserves for eight years before being honorably discharged as a Lieutenant Commander. My wife, Kathryn Gilbert, and I have been married for 33 years. We volunteer extensively for the Herb Kosten Pancreatic Cancer Foundation and very active in our local Cumberland Presbyterian Church. My hobbies include model railroading and fishing as often as possible. We enjoy traveling and have had many chartered sailing trips over the past 30 years. It is hard to believe that 2019 will mark my 49th year in dentistry. Aside from the active duty in the Navy, Dr. Ferguson and I have practiced together for 47 of those years. "I have a huge phobia when it comes to dental work. Raleigh dental group is the only place I will ever go. I just love Dr. Craig and everyone that works there. They are so patient with me and they do great work. They are all so personable. They know there patients names as soon as they walk in the door." "They are the best and have been caring for me for 8 years now. Very fast, never a wait and I can always get in without waiting forever!" "Love my dentist office! They are so warm and caring"